Motorcycle shipping and enclosed motorcycle transport services. ID Transport professional motorcycle shippers since 2003. ID Transport will pick up and Deliver your motorcycle door to door while being transported uncrated and inside one of our all enclosed custom trailers, designed just for motorcycle shipping. ID Transport is specialized in providing motorcycle transport services. 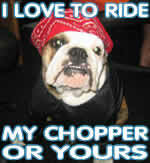 We are biker owned and operated. we treat your bike like it was our own. We take pride in getting your motorcycle or ATV to you damage free. Check to see if you are in our coverage area. For a free quote or to reserve a spot to get your motorcycle shipped today. All we do is haul motorcycles and ATV's. In 2018 ID Transport relocated over 540 Motorcycles and ATVs. (EVEN HOLIDAYS) CALL US NOW!! We are not a broker. We do all of our own Motorcycle shipping. Quality all enclosed custom trailers. We are D.O.T. licensed and fully insured. Fast and friendly service with affordable rates. You can't trust that a car hauler knows how to tie your bike down. E-bay auction Motorcycle Shipping specialist. Our trailers are specially designed just for shipping motorcycles. This helps ensure damage free transport. *Before you ship a motorcycle. Learn some facts about shipping a motorcycle. Motorcycle shipping company providing enclosed transport services. Motorcycle shippers specialized in providing personalized motorcycle transportation.